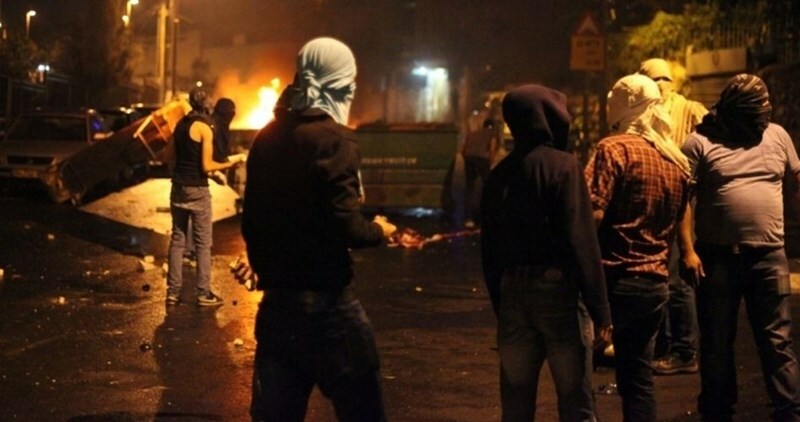 A Palestinian young man was injured while another was arrested Sunday evening as clashes erupted in Bethlehem to the south of occupied West Bank. According to the PIC reporter, the Israeli Occupation Forces (IOF) arrested a passenger after stopping a Palestinian car near Gush Etzion settlement, illegally built on Palestinian-owned land the south of the city. The young man was severely beaten before his arrest under the pretext of trying to carry out a stabbing attack. Meanwhile, a young man was injured with a live shot in his hand as clashes broke out in Takoa town east of the city amid heavy fire of tear gas bombs and live rounds. Local youths responded by throwing stones and empty bottles towards the invading soldiers. On the other hand, an Israeli settler was allegedly injured after her car was stoned near al-Khalil. Israeli Website 0404 claimed that an Israeli settler suffered moderate injuries after suspected youths stoned her car near Beit Umar town north of the city. She was then transferred to hospital, the sources added. Israeli forces immediately rushed to the area and carried out search operation looking for the suspected youths. 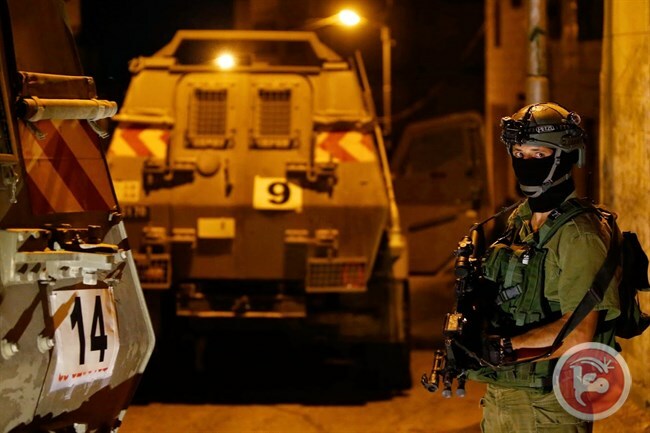 The Israeli occupation forces (IOF) carried out last night and at dawn Sunday arrests and raids on homes in some West Bank areas, mainly in al-Khalil province. 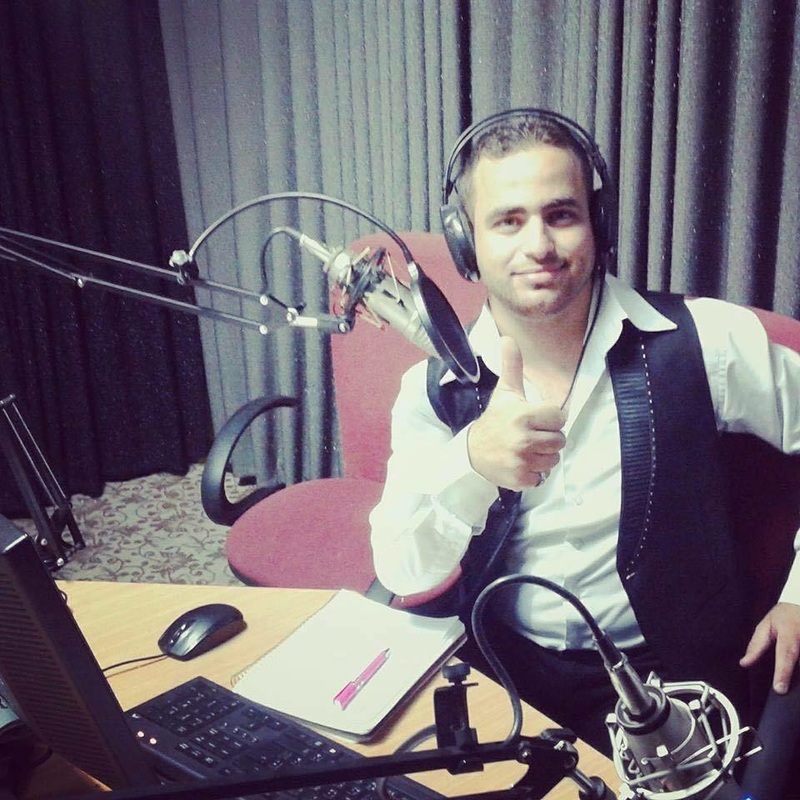 Local sources in al-Khalil said that Israeli soldiers stormed and ransacked the house of Mahmoud al-Qawasmi, who works as a sports announcer at al-Khalil radio, before kidnapping him. They added that the soldiers also physically assaulted the father of Qawasmi, who was taken later to a hospital. The IOF also raided the house of ex-detainee Yusri al-Awiwi in al-Khalil and handed him a summons for interrogation from the Shin Bet in Etzion settlement. Another house belonging to Fawwaz Qufaisheh was ransacked as well in the Old City of al-Khalil, with no reported arrests. Local sources affirmed to the Palestinian Information Center (PIC) that the IOF also kidnapped a number of young men in different areas of al-Khalil, including two identified as Salah al-Muhtaseh and Baha al-Khammour. Four other Palestinians were taken prisoners in Bethlehem city and Araba town in Jenin, according to other sources. In a separate incident, the Israeli occupation police kidnapped three Palestinians, including a driver, after intercepting the bus they were aboard on road 431 in the 1948 occupied lands, at the pretext they had no residence permits. The Hebrew radio said that there were 55 Palestinians aboard that bus and only three of them, including the driver, were arrested. The radio added that the rest of the passengers were transported to their Palestinian areas after questioning them. Israeli forces overnight Sunday detained at least eight Palestinians from the occupied West Bank, an Israeli army spokesperson said. 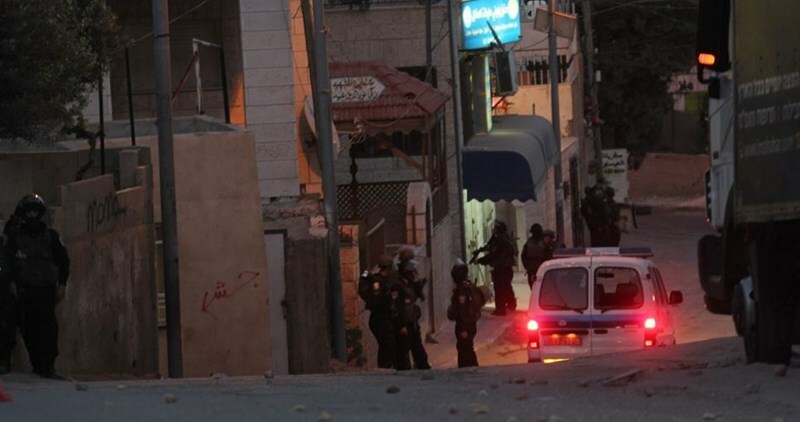 The spokesperson said one Palestinian was detained in the northern occupied West Bank district of Qalqilya, while two more Palestinians were detained in the southern district of Bethlehem. All three detainees were suspected of "illegal activity," the spokesperson said. Five more Palestinians were detained in Hebron -- two for suspected "illegal activity" and three for being suspected "Hamas operatives." The eight Palestinians have yet to be identified. Israeli forces have detained hundreds of Palestinians since a wave of unrest swept the occupied Palestinian territory at the beginning of October. Palestinian prisoners' rights group Addameer estimated in December that Israel was holding 6,800 Palestinian prisoners, including 470 children. A report by the Afula Hospital medics on Saturday raised alarm bells over the sharp deterioration rocking the health status of Palestinian prisoner Mohamed al-Qeiq, after his hunger-strike has entered its 67th day. 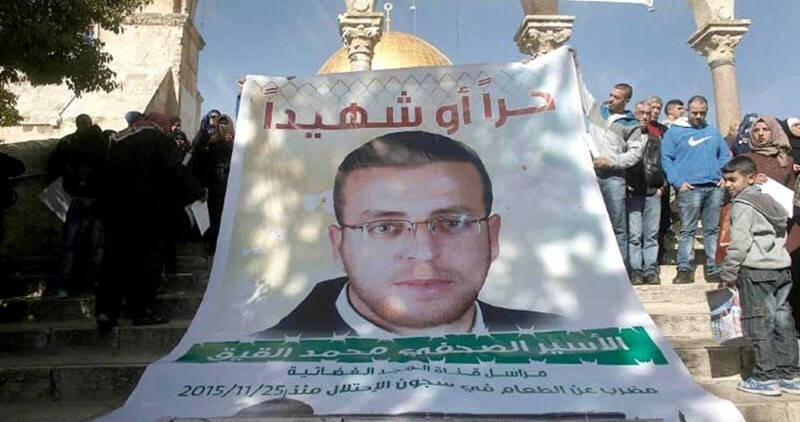 A report conducted at the request of the Israeli Supreme Court said al-Qeiq’s health condition has sharply deteriorated as the detainee has lost his ability to speak and has gone through a remarkable weight loss. Al-Qeiq has reportedly been refusing to undergo medical checks or therapy. Lawyer Jawad Boulos, from the Palestinian Prisoner Society, said this is the first time medics bear witness to al-Qeiq’s critical condition. Meanwhile, Hamas vowed to step up protest moves inside and outside jails in solidarity with al-Qeiq until he restores his freedom. Hamas spoke out against the preplanned psycho-physical torture to which al-Qeiq has been subjected, dubbing it “a crime against humanity in all possible senses of the term.” Hamas urged the world’s activists and human rights advocates nationwide and overseas to stand up for al-Qeiq’s rights and push for his release. 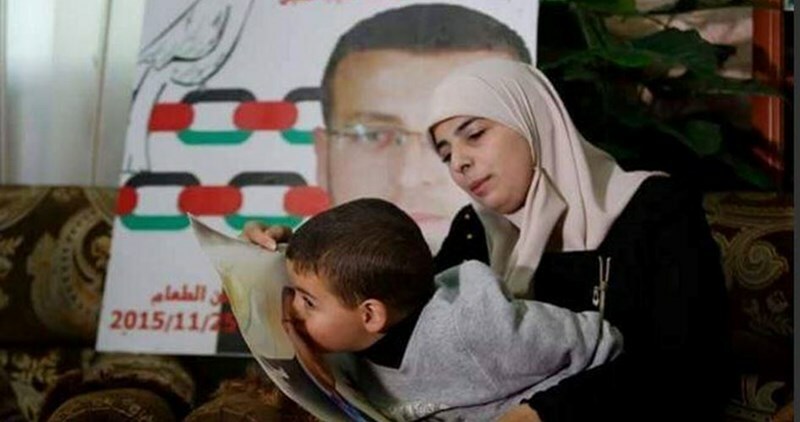 “Al-Qeiq’s health has reached very critical stages while the Israeli occupation authorities have been turning blind eyes and deaf ears to the detainee’s cries for freedom in a barefaced attempt to execute him,” Hamas further stated. The imprisoned journalist Mohamed al-Qeiq declared Sunday evening his total rejection of any Israeli offer to stop his 68-day hunger strike. Al-Qeiq’s lawyer Ashraf Abu Snina pointed out, after his visit to Afula Hospital, that al-Qeiq completely lost his ability to speak and 50% of his sense of hearing. He became completely unable to move or to walk, and suffers from eye inflammation, the lawyer added. "I asked him in a very loud voice so that he can hear me", Abu Snina continued, whether he accepts an Israeli offer to stop his hunger strike in return for his conditional release. 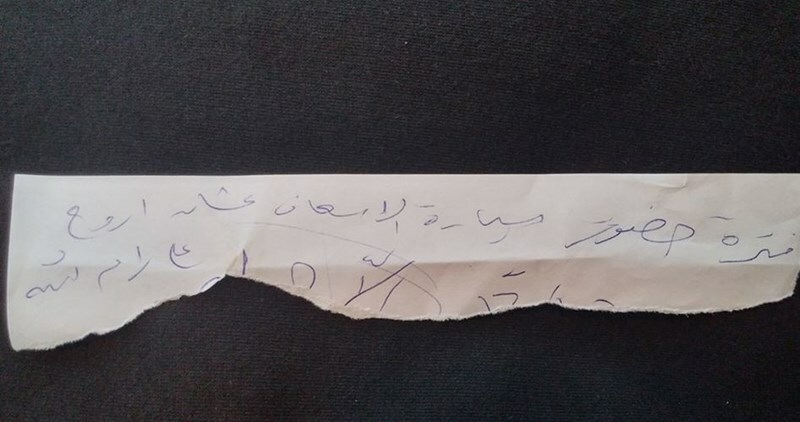 Al-Qeiq replied in a piece of paper that he will never stop his hunger strike unless he would be moved immediately from Afula Hospital to Ramallah Hospital. The Palestinian journalist has been on hunger strike for 68 days to protest his administrative detention without trial or charge. He has been held in the Israeli Afula Hospital since his health started worsening. The Israeli occupation forces (IOF) on Saturday night kidnapped two Palestinians, from Araba town in Jenin, on the road between Jenin and Nablus. Local sources told the Palestinian Information Center (PIC) that Anis Issa, 39, and Yousef Abu Jalbush, 49, were taken prisoners at an Israeli makeshift checkpoint, south of Jenin, as they were en route to Araba. 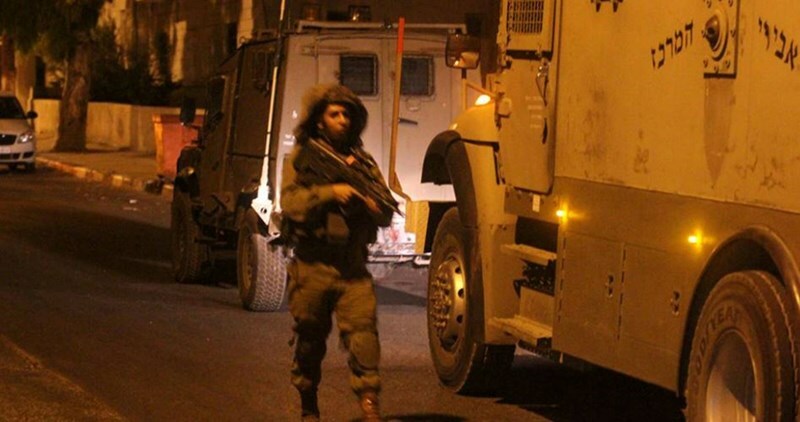 The sources added that the IOF removed the roadblock after the arrest operation. By day 66 of Muhammad Al-Qeeq's hunger strike, the Palestinian journalist wrote his testament, hoping that he could see his wife and children before dying. Al-Qeeq, who has been on hunger strike, now, for 66 days, in protest of administrative detention, wrote his testament as seen in the photo. His handwriting reflects his deteriorating health, as the words can hardly be read. In his testament, he hopes to see his wife and children, and he asked to be laid to rest in his mother tomb. Like 660 other administrative detainees held by Israel at the end of December, Al-Qeeq has no access to the charges against him, which are kept in classified files by Israeli forces. 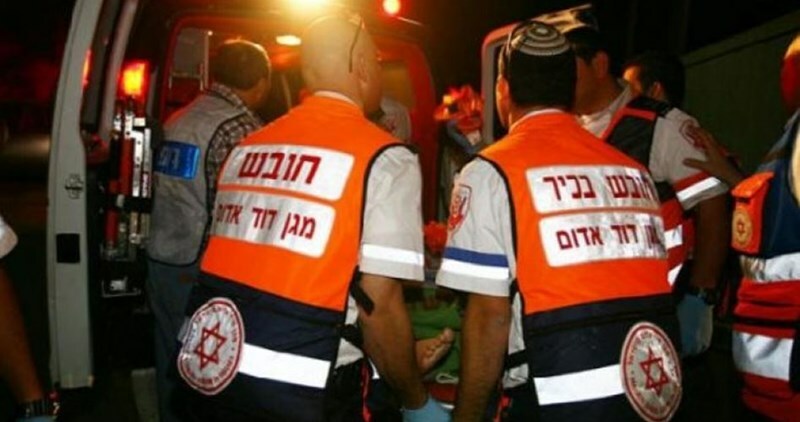 A Jewish settler on Saturday evening was injured in a stabbing attack by a Palestinian in Occupied Jerusalem. Israeli Yedioth Ahronoth newspaper reported that the stabbing was carried out at Damascus gate in the city. Israeli media websites quoted the spokeswoman of the Israeli police, Luba al-Sumri, as saying that Israeli policemen who rushed to the scene were investigating the incident. Media sources revealed that Israeli forces arrested a suspected Palestinian young man at al-Sahera gate in Occupied Jerusalem. The ID of the Palestinian captive has not been identified yet. Eyewitnesses said that Israeli policemen, stationed at Damascus gate, assaulted Palestinian pressmen at the stabbing location. Meanwhile, Israeli troops closed the gate’s area, cordoned it off, and summoned military reinforcement for conducting combing operations searching for the stabber. Secretary-General of the United Nations, Ban Ki-moon, expressed his concern about the health situation of the Palestinian captive journalist in the Israeli occupation jails, Mohammed Al-Qeiq, who has been on hunger strike for 67 days. UN spokesman, Stéphane Dujarric, said in a press conference held on Friday evening at the United Nations Headquarters in New York, "As you know, Mr. al-Qeiq went on hunger strike since the twenty-fifth of November last year, in protest against the arbitrary nature of his detention." He stressed that "the United Nations there is following closely the general situation of the Palestinian detainees". He called at the same time for the need to "bring charges against all detainees, whether Palestinians or Israelis, or to release them without delay”. The captive Mohammed al-Qeiq, a correspondent for al-Majd news channel in the West Bank, was arrested by the Israeli occupation forces during a raid on his home in the town of Abu-Qash, north of Ramallah, on November 21, 2015, and was held under administrative detention for 6 months. Al-Qeiq started an open hunger strike on November 25, 2015; in protest at being administratively detained and at the harsh treatment in prison; where he is subjected to torture and threatened of being held captive for long periods in prison. Since al-Qeiq started his hunger strike, a lot of solidarity events were organized at the local, regional and international levels, while the Israeli occupation has shown no response so far to the demand of al-Qeiq to be immediately released unconditionally on the grounds that his arrest was not based on any charge; but was an attempt to prevent him from exercising his work, and for narrowing the press freedom and freedom of expression. Several Palestinians suffered injuries during clashes with Israeli soldiers on Friday evening in Yabad town, south of Jenin city. Local sources told the Palestinian Information Center (PIC) that the confrontations started after an Israeli military force invaded the town and embarked on harassing its residents. They added that the events were concentrated in al-Nab'ah area in the town, during which the invading troops intensively fired stun and tear gas grenades at local young men. The sources affirmed that the local young men forced the soldiers to leave the area and withdraw to al-Sahal street, which the Israeli army had turned into a military post over a month ago. Meanwhile, Israeli soldiers on the same day physically assaulted four Palestinian young men near al-Jalama crossing, north of Jenin. The PIC was told that soldiers at the crossing detained and severally beat four young men near the crossing as they were herding them together into a nearby military post.